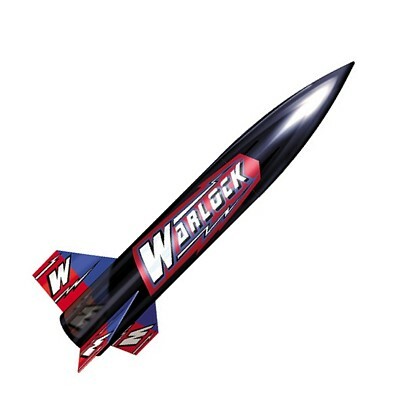 LOC Precision WARLOCK Kit - One of the ADVANCED SERIES of kits, which include factory pre-slotted airframe and through-the-wall fin construction, the Big Nuke is our large scale version of the perennial favorite Lil Nuke. This kit comes standard with a 54mm motor mount tube but can fly well on large H, I and J motors as well using optional MMA-3 and MMA-4 adapters. We upgraded the shock cord to 25' of 9/16" tubular nylon and added a CEC-2 chain connector to the SCMBA-25 shock cord mount for heavy duty flying. Parachute Recovery.